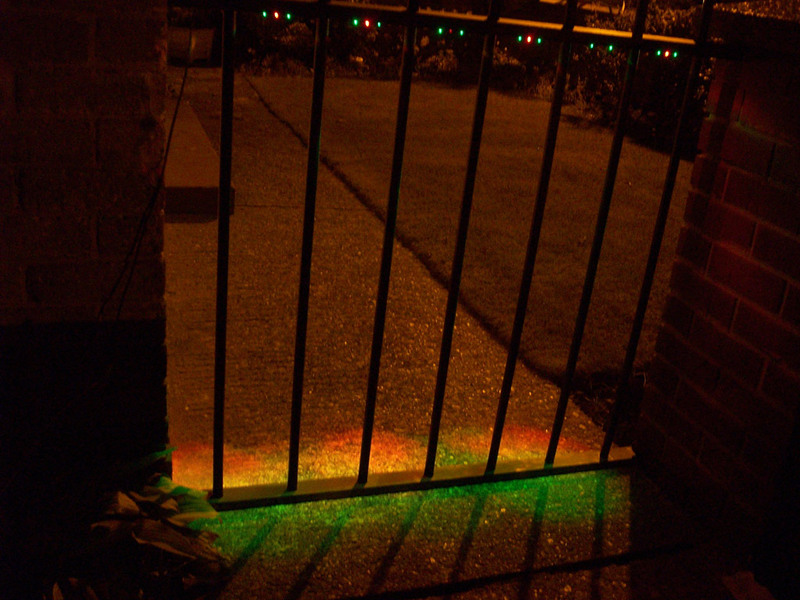 Each year we set up our effects around the outside of the house. We have a lot more space to the side of the house so that's where most of our effects are situated. The problem with this is that most of our visitors head straight to the front door and miss some of the best effects. We decided to block access to the path leading to the front door to direct the trick or treaters to the side door instead. While a simple piece of string would probably do the job we decided to make something a little more interesting. 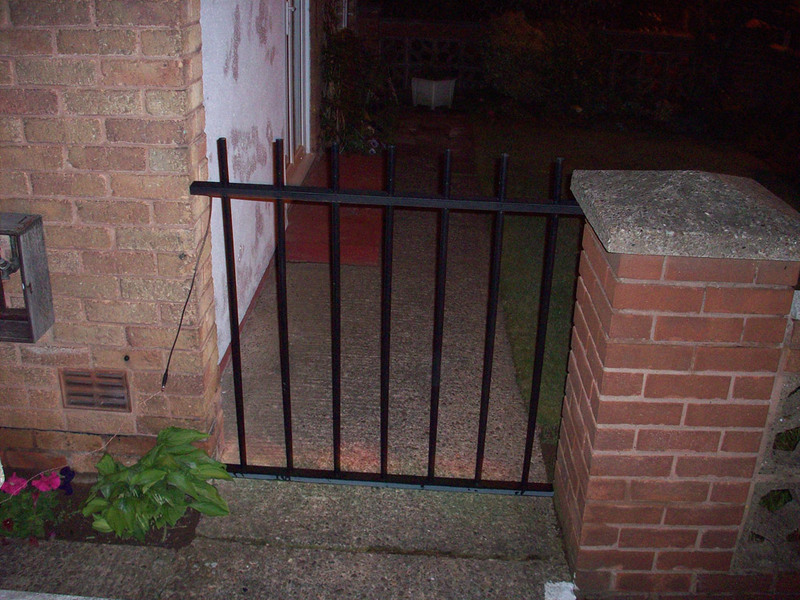 We came up with the idea to make some "iron railings". This would solve the problem and it also adds to the Halloween atmosphere. We have limited storage space so the whole thing needs to disassemble to be as small as possible. Using real iron would be the most ideal solution with regards to the look but it would cost too much and would be hard to make and assemble/disassemble. A more practical solution is to use wood or plastic. After thinking about this for a while we decided that the best solution was to use wood for the horizontal parts and plastic tubes for the vertical bars. 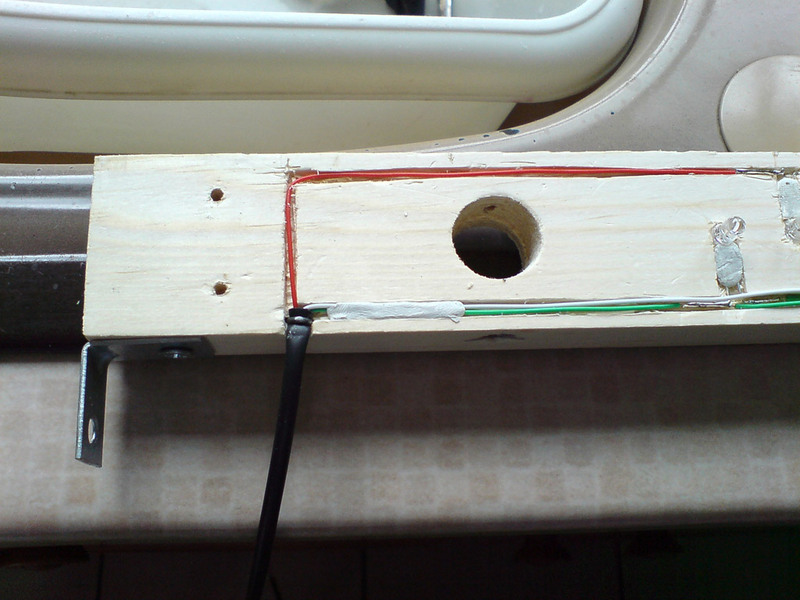 The wood should have holes drilled through it for the plastic tubes to fit into and the tubes should be held in place by screws. 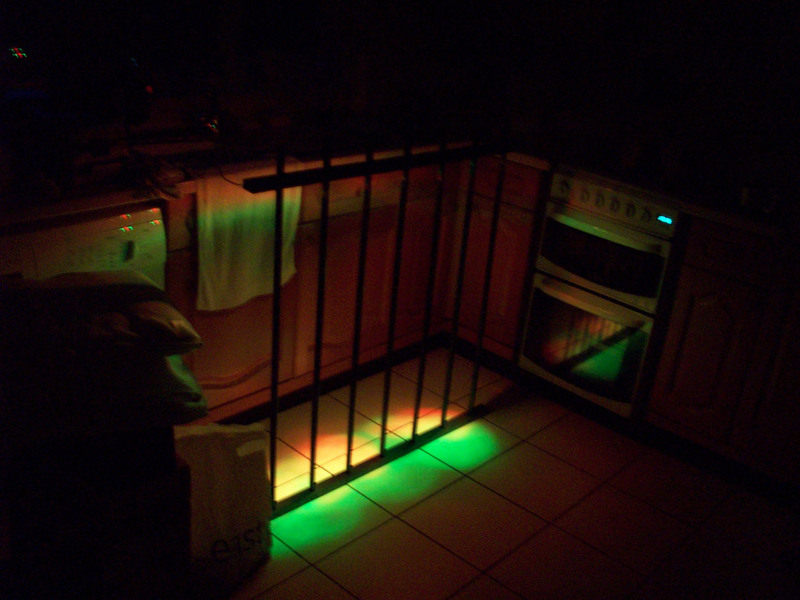 To enhance to the effect we added some red and green LEDs under the top horizontal piece to shine down towards the floor. We thought that 6 red and 12 green would give the best effect. The deign was pretty much straight forward. We took measurements of the walls that it would be attached to and made a 3D model so we could check that it fitted correctly and look right. 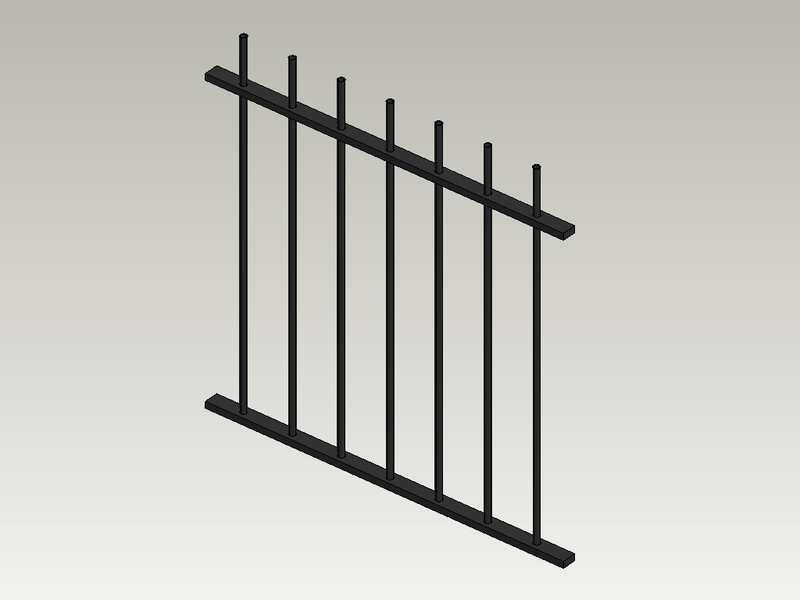 Using our 3D model we experimented with different spacing between the bars and finally decided that a 15cm space was most effective. 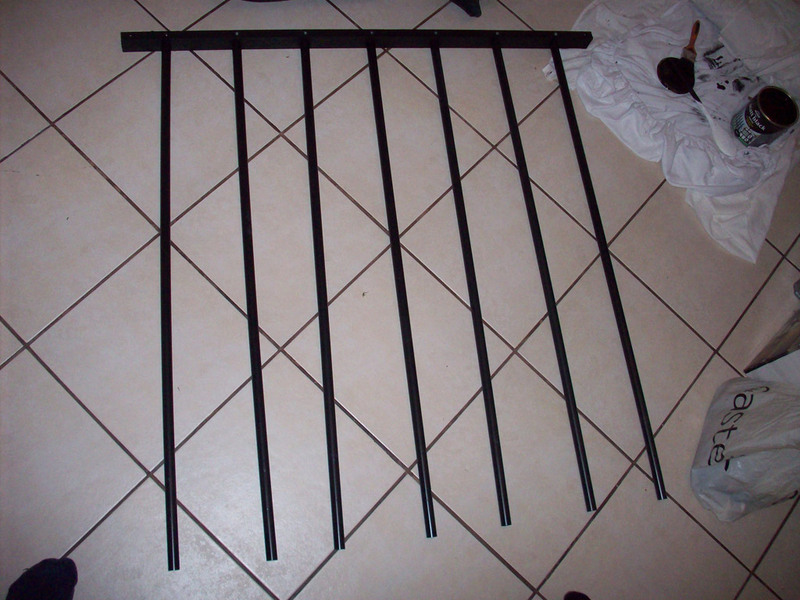 The distance between the 2 walls is 110cm so this allowed for 7 bars with 10cm of space at each end. Construction was fairly simple. We cut the wood and the plastic tubes to the correct length. 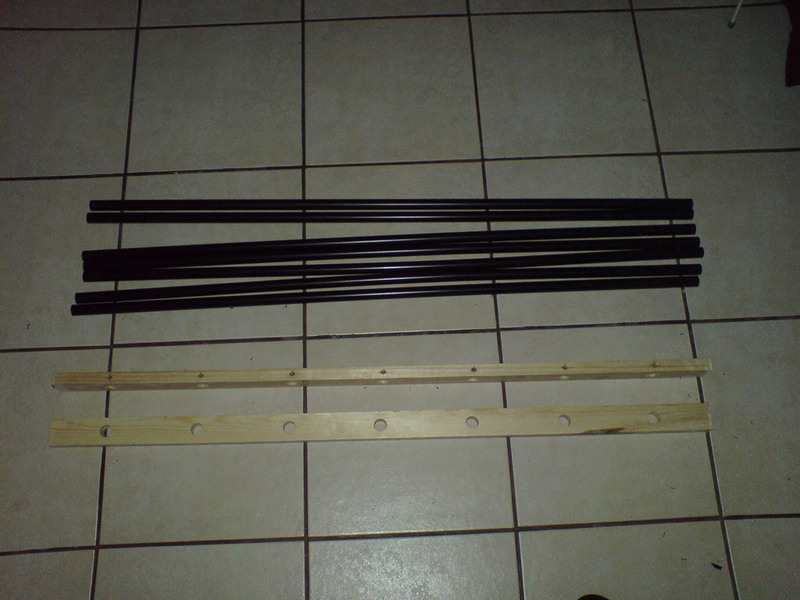 The wood for the top and bottom bars needed to be 110cm long to fit between the 2 walls. 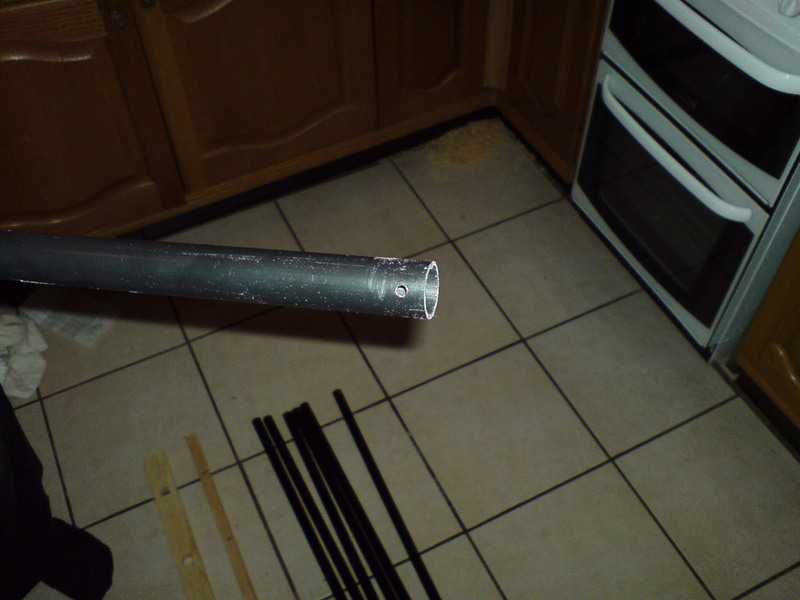 The plastic tubes were also cut to 110cm. We then drilled large holes in the wood for the tubes to fit through and fitted the tubes into the wood before drilling the screwholes. This ensured that the holes in the wood were lined up correctly with the holes in the tubes. 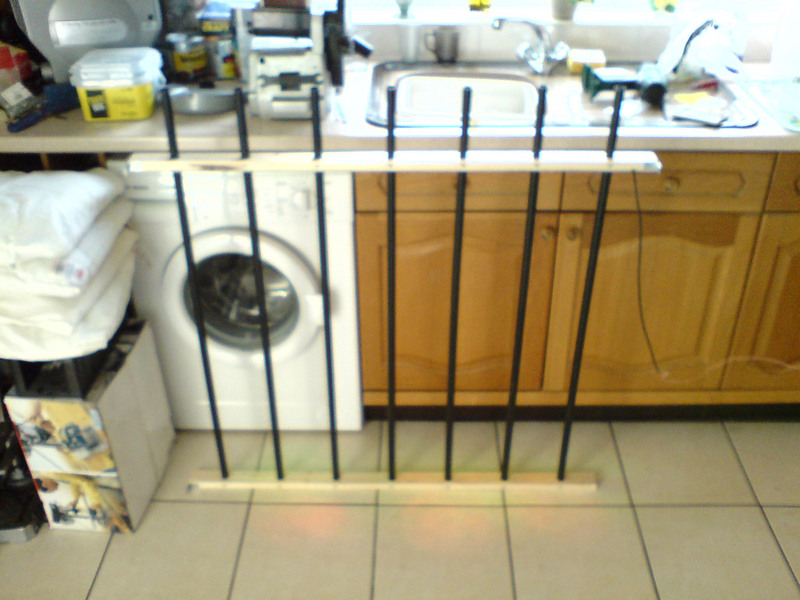 Then we screwed the whole thing together to check that it fitted the wall correctly before attempting to put the LEDs in. To put the LEDs in we first needed to cut channels for the wires and for the LEDs themselves to sit in. We did this using a Stanley knife to make the sides of each channel then a small screwdriver to chisel out the wood in between. It would be easier to do this with a router but the only one we had available was too large and not accurate enough. 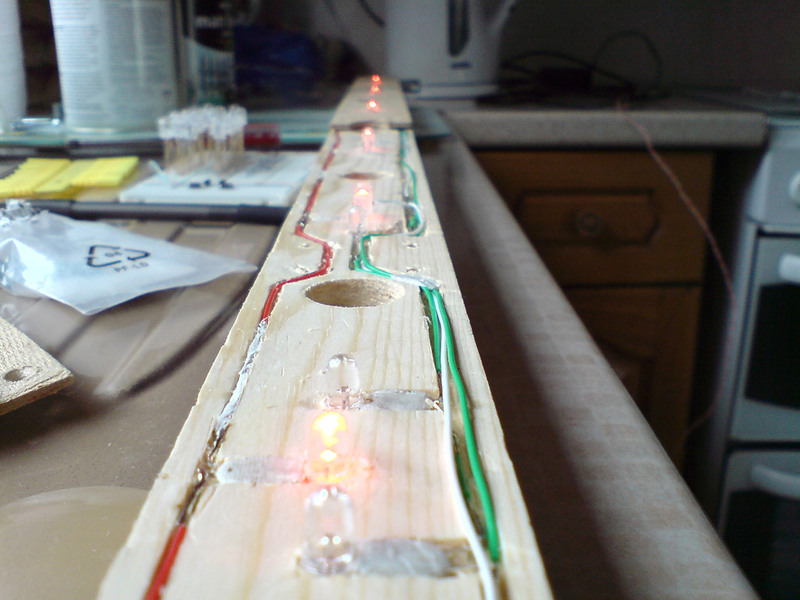 We soldered wires to the LEDs then used White-tack to hold them to the wood. 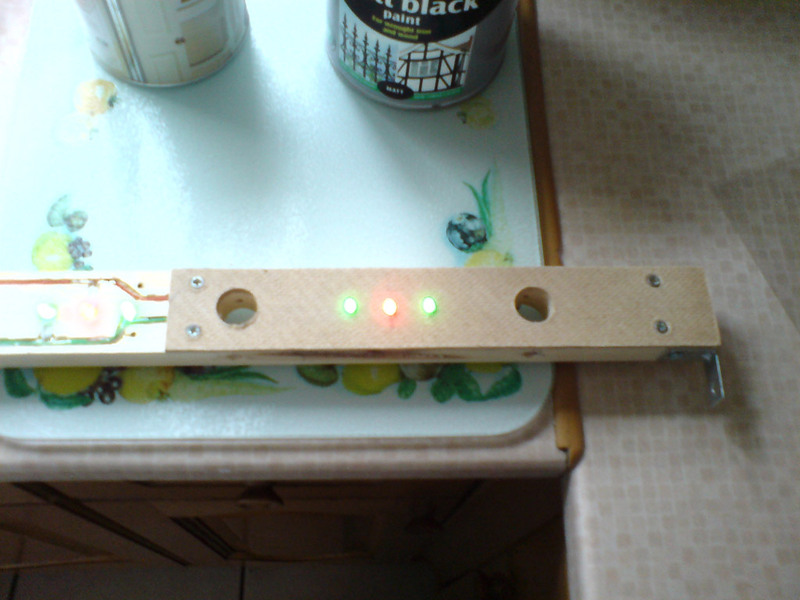 To connect the LEDs to a power source we took 3 wires (Red, Green and White), sleaved them and put a line jack socket on the end to allow easy connection/disconnection. We used a U-nail to hold the wires and sleeving in place. The pieces of hardboard used to cover the wires were then screwed on using ½" screws. 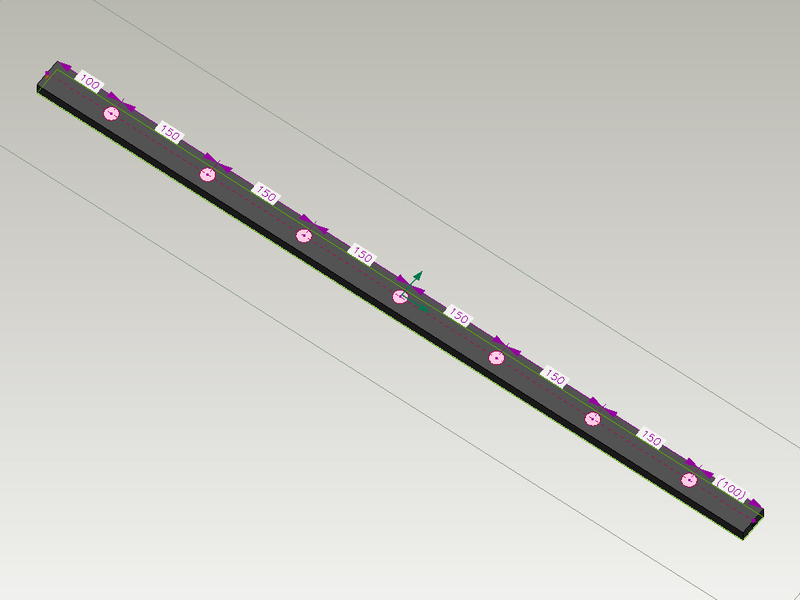 The cover is split into 4 pieces making it easier to work with and allowing access to a few LEDs at a time without having to remove the whole cover. Once we were happy that everything fitted together correctly we removed the brackets and painted the wood black. 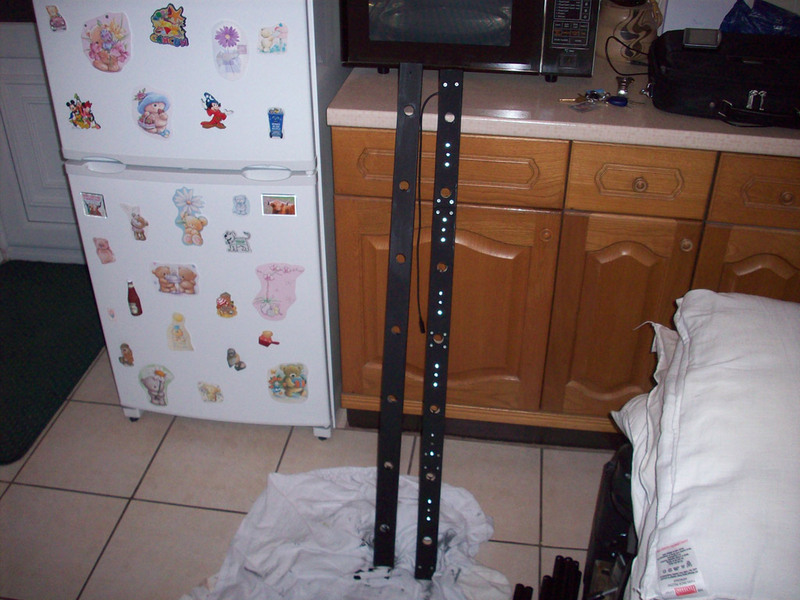 We unscrewed the LED covers while painting to ensure we didn't get any paint on the LEDs. The final step was to put the whole thing together and test it. 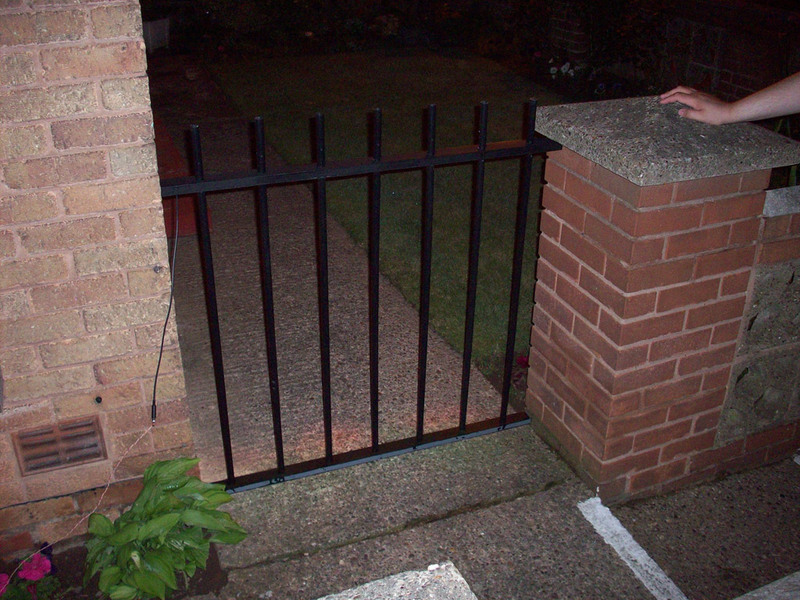 Preparation resulted in a perfect fit and we were very pleased with the overall result. This simple prop is cheap, easy to make and proved very effective.